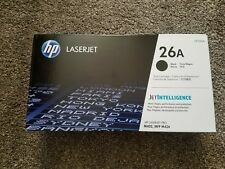 CE260X 649X Genuine HP High Yield Black Toner Color laserjet CP4525DN 4525N ! Picture is for reference ONLY. No exceptions. Make sure that it is filled in correctly. Box styles may vary from what is pictured. It is NOT refurbished or remanufactured. FREE scheduling, supersized images. Thats right, this box is sealed from the factory and never opened! Over 100,000,000 served. Thats right, this box is sealed from the factory and never opened! Back to Top. Trending at $99.24eBay determines this price through a machine learned model of the product's sale prices within the last 90 days. Trending at $120.99eBay determines this price through a machine learned model of the product's sale prices within the last 90 days. FREE scheduling, supersized images. Back to Top. 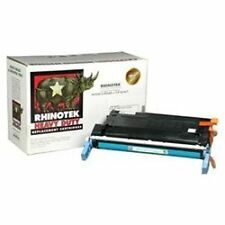 We do not replace or warranty expired inks. Condition: New Sealed Item. Color: Black. Alaska, Hawaii, Puerto Rico, U.S. Territories. Thats right, this box is sealed from the factory and never opened! FREE scheduling, supersized images. Back to Top. No exceptions. Box styles may vary from what is pictured. It is NOT refurbished or remanufactured. The box that is pictured is for reference only. Over 100,000,000 served. Trending at $62.00eBay determines this price through a machine learned model of the product's sale prices within the last 90 days. The box that is pictured is for reference only. 1 - MAGENTA C8553A. 2 - BLACK C8550A. ITEM IS FACTORY SEALED. 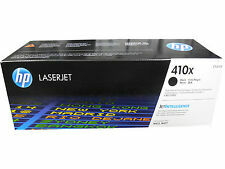 HP Genuine 410A Toner Set for M452 / M477 Series Printers. The box picture is for reference only. FREE scheduling, supersized images. 2- Cyan Q6001A. 1- Magenta Q6003 A - sealed box. New Sealed OEM Genuine. If you are NOT going to be available to sign for the parcel, it will be your responsibility to arrange receipt of the item. 2- Yellow Q6002A. Works with CP1515n, CP1518ni, CP1215 and CM1312 printers. It is NOT refurbished or remanufactured. FREE scheduling, supersized images. Back to Top. Trending at $33.74eBay determines this price through a machine learned model of the product's sale prices within the last 90 days. Surplus from an Educational Institution in NY State. No gimmicks. 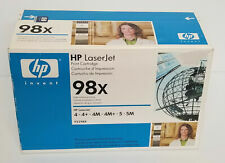 sealed box / genuine HP. 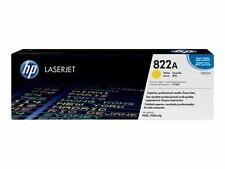 NEW HP 503A 501A SET Q6470A Q7581A Q7582A Q7583A OEM Genuine Toner Sealed-SALE!